With radical love and an entrepreneur’s ingenuity, Alan Graham has spent the last two decades changing the way we see one another. 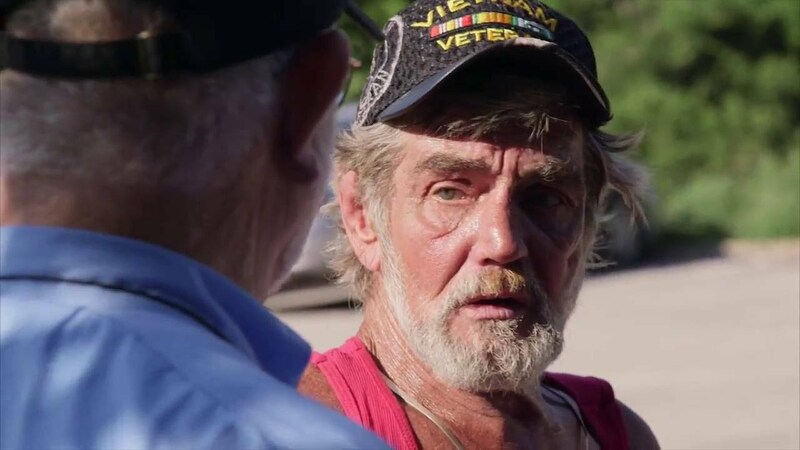 After success in real estate and construction, Alan and a group of friends founded Mobile Loaves & Fishes, a social outreach nonprofit in Austin, Texas, that provides food and clothing and promotes dignity to the region’s homeless and working poor. Austin’s largest prepared feeding program, Mobile Loaves & Fishes now serves those living on the streets in Austin, San Antonio, New Orleans, Nashville, Minneapolis, Providence, and New Bedford. 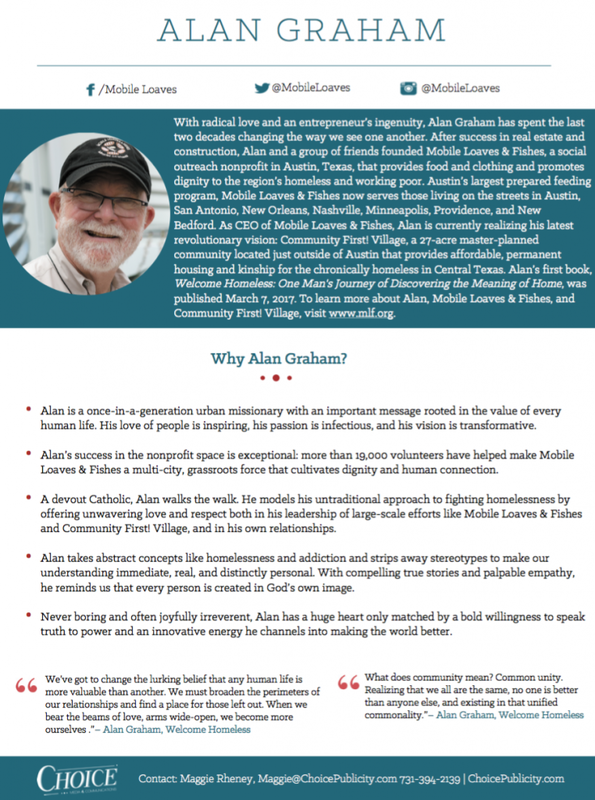 As CEO of Mobile Loaves & Fishes, Alan is currently realizing his latest revolutionary vision: Community First! Village, a 27-acre master-planned community located just outside of Austin that provides affordable, permanent housing and kinship for the chronically homeless in Central Texas. 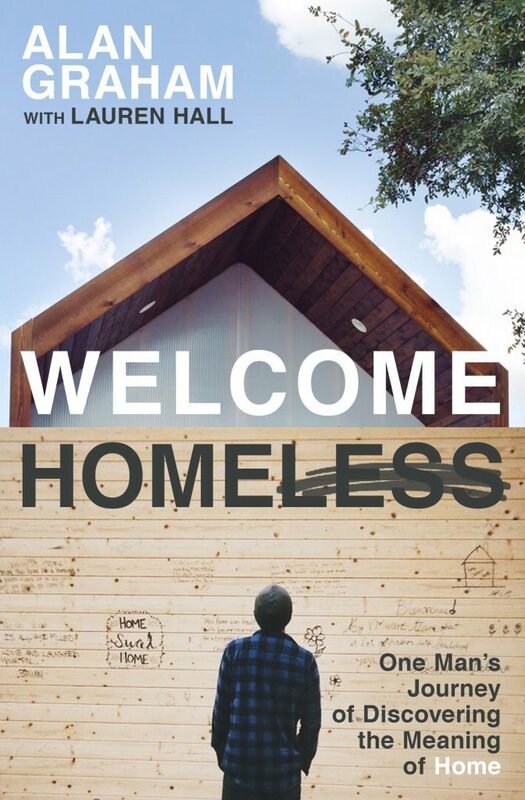 Alan’s first book, Welcome Homeless: One Man’s Journey of Discovering the Meaning of Home, was published March 7, 2017. 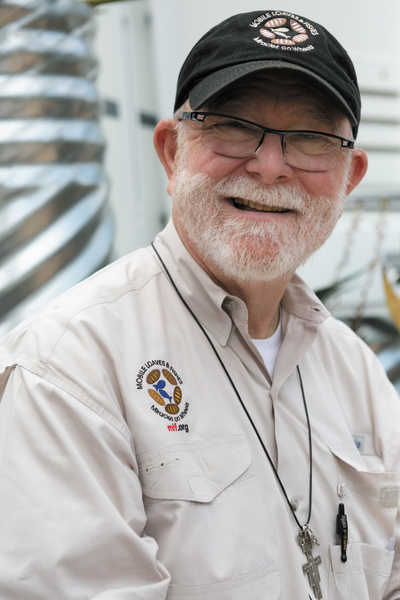 To learn more about Alan, Mobile Loaves & Fishes, and Community First! Village, visit www.mlf.org.